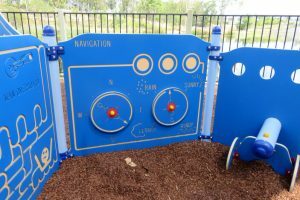 Discovery Park is where beautiful lake meets nautical-themed playground. 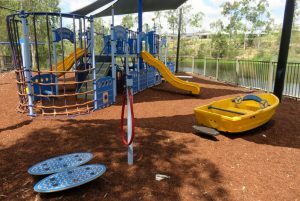 It is a great place for parents to relax and kids to unleash their imaginations for fun-filled play. 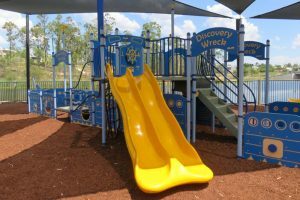 Why is Discovery Park at Springfield Lakes so special? 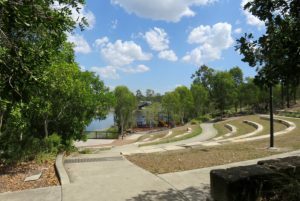 Firstly, it’s a lakeside park, set right on the edge of a stunning, lily-filled lake complete with ducks and surrounded by well-maintained walking paths. 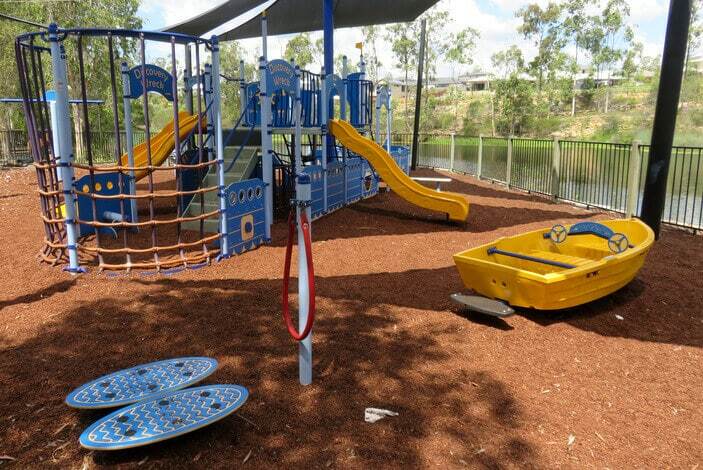 Secondly, the playground is fully fenced, so you can rest assured your little ones can’t go wandering off. 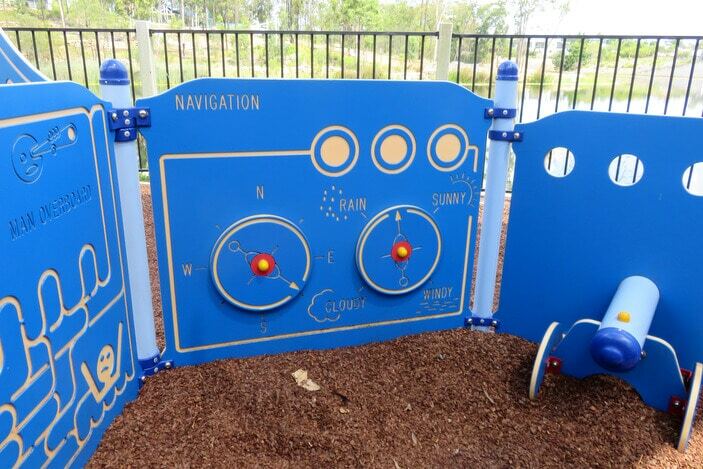 Finally, it’s a nautical-themed play space. And what do kids want when they’re surrounded by all that water? 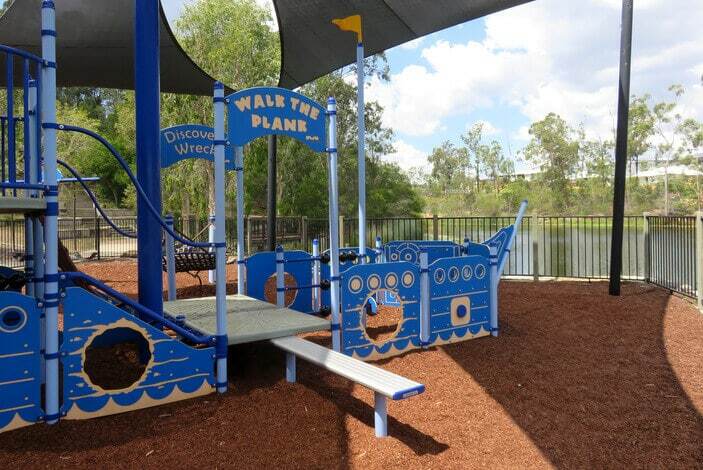 To jump on board a pirate ship and set sail across the seven seas of course! 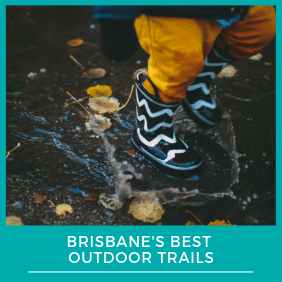 From the off-street car park, this park meanders down past grassy terraces overlooking the lake to the modern playground that features everything a child could want for hours of boat-themed play. 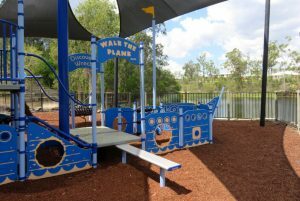 There’s the giant ship with climbing ropes, navigation centre, slides and even a plank to walk! 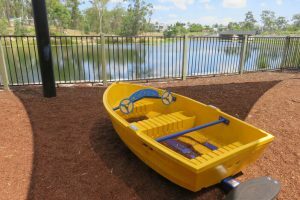 There’s a bright yellow speed boat for heading to shore, and swings or swinging hammock to enjoy the swaying feel of being out on the ocean. 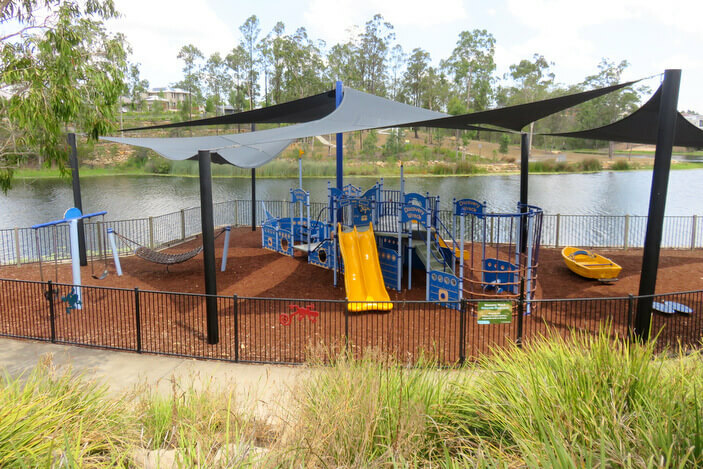 Perfect for kids from toddlers to younger children, the playground has lots of fun play equipment, plus plenty of room to avoid the crocodile! In the rest of the park, you can enjoy the lovely natural setting, have a peaceful barbecue or picnic on the terrace overlooking the water. 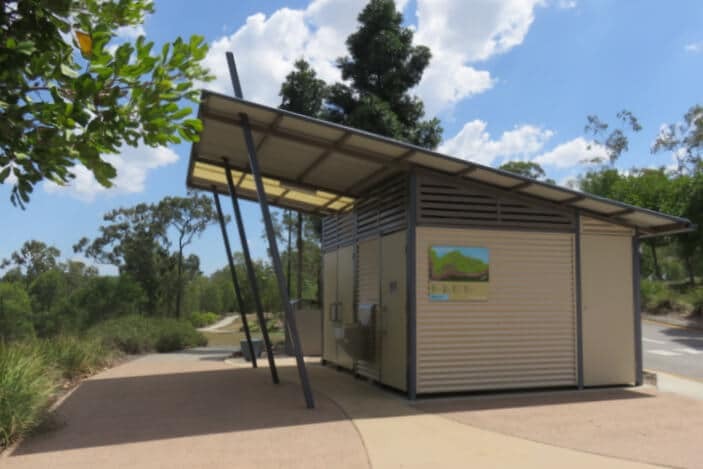 There are shade sails and mature trees to offer some break from the summer sun, plus drinking fountains and wheelchair accessible toilet facilities on site. When the kids have finished looting all the treasure from nearby ships, you can then go for a lovely stroll or ride along the lakeside pathways. 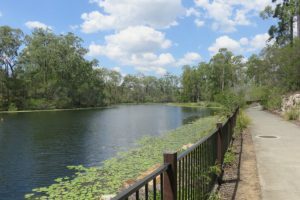 These link to local residential areas, pass by sheltered picnic areas and lead to other lakeside parks to explore. 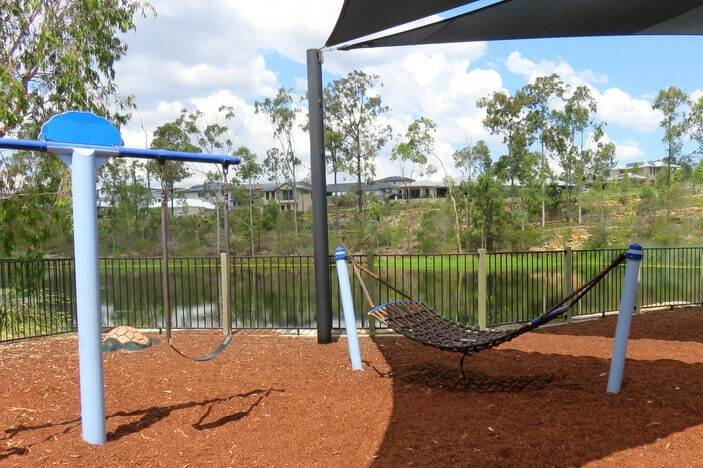 See if you and the kids can spot a large hawk perched in a tree — kids can speculate on whether it is real or fake! 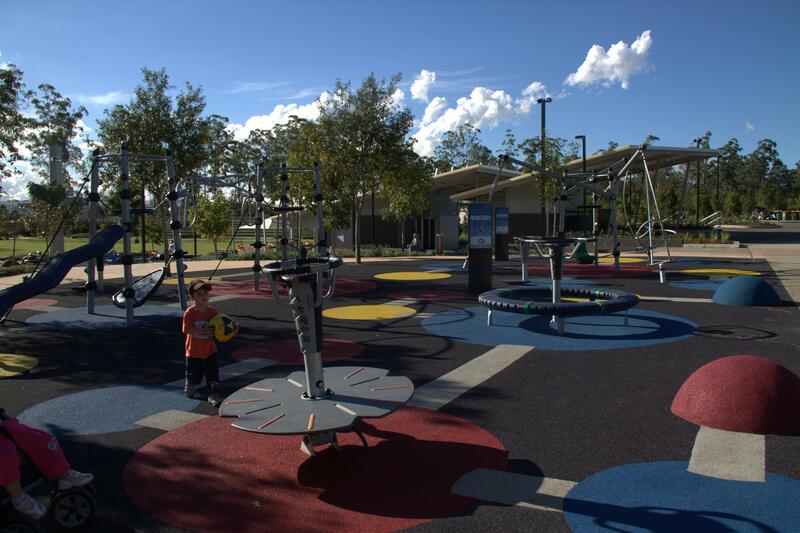 Liquidamber trees surround this park, and their maple-like leave are perfect to collect for doing some autumn craft. 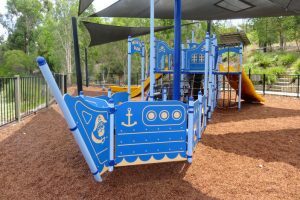 This nautical-themed playground lends itself perfectly to a pirate party, or simply dress the kids up for an adventure on the high seas! You could begin the day with reading from a Peter Pan storybook to inspire imaginative play. 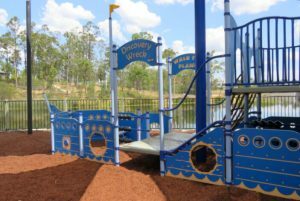 Kids will have hours of fun climbing the rigging, scrubbing the deck, steering the ship, looking out for pirates, and even walking the plank! The play equipment is set up so that it looks out over the surrounding water, so it’s easy for kids to get immersed in their sailing games. The sea animals around can also fuel their imaginations — they can swim with the sea turtle, but must beware of the hungry crocodile! Discovery Park has wheelchair accessible toilet facilities. 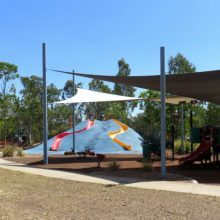 The playground is fully fenced and is covered by shade sails. 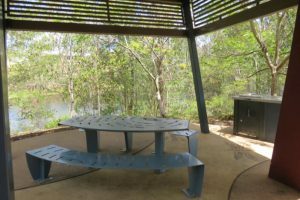 There are also lots of mature trees around the park, plus covered picnic areas. 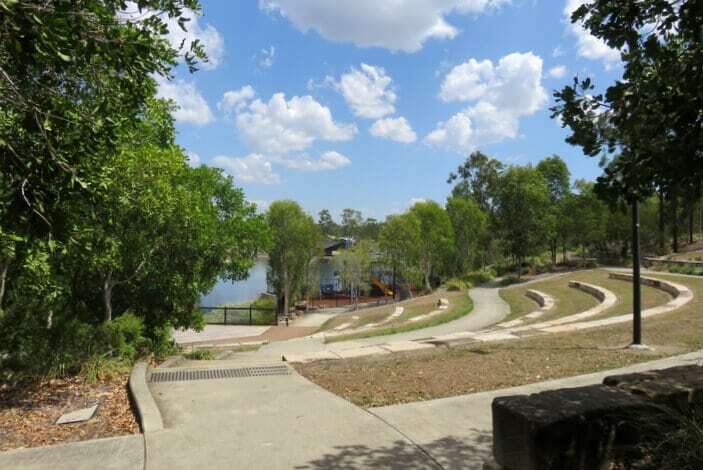 There are paths that are suitable for wheelchairs or prams, and off-street parking has two disability parking spaces. 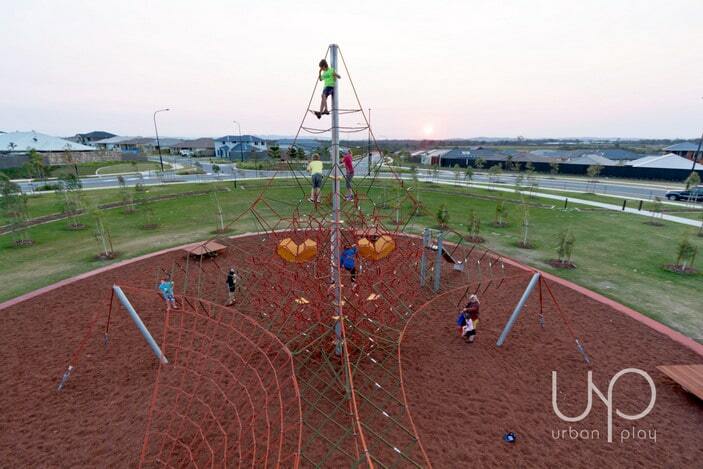 Another popular playground nearby is Grande Park with its bike tracks featuring kids’ bike tracks with road signs.